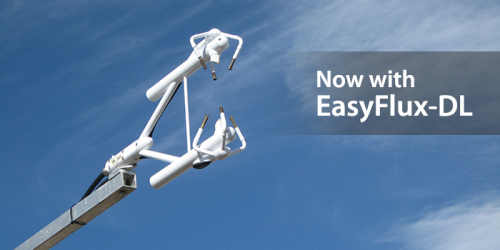 Campbell Scientific offers low-power open-path eddy-covariance systems that are unmatched in the level of analyzer and sonic anemometer system integration. The sensors are designed to minimize or eliminate spatial separation and have fully synchronized sampling, thereby reducing uncertainties in EC fluxes. The EasyFlux-DL datalogger program minimizes necessary data post-processing by applying standard corrections to output fully processed fluxes, which can then easily be transmitted in real-time to a base station, PC, or other server.